Helmets and other protective gear are highly recommended. Do not use the park when it's wet, icy or covered in debris. Keep your head up and watch for fly balls when the ball diamonds are in use. Be friendly, watch out for others, wait your turn and put all garbage in the bins. All Banff Recreation Facilities are non-smoking. No alcohol, no illegal drugs and no graffiti. The park is open 7:30 a.m. to 10 p.m. In case of emergency, call 911. The Skatepark address is 101 Birch Avenue. 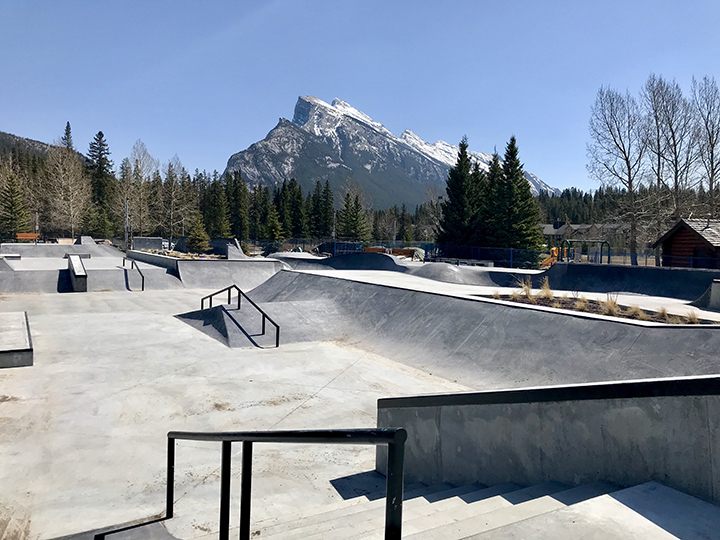 The Town of Banff is not responsible for any loss, damage or injury resulting from using the skatepark. Use at your own risk. The park is not supervised.